The phone on the nightstand started vibrating softly. I hadn’t been sleeping anyway, lying awake in anticipation and finalizing my plan in the early hours of the morning. 3 a.m. had finally come. I rose from bed, stumbled through my morning routine with a quick shower and a shave, although this was more from ritual than necessity, had a quick breakfast, and hopped into the car. I arrived at my destination and killed the ignition. 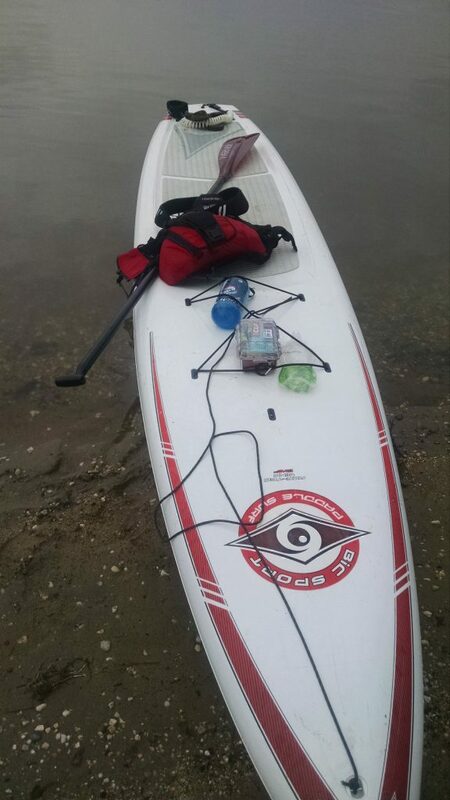 There, I unloaded my paddleboard and finished running through my checklists, put the board in the water, and took a quick look at my watch, which read 3:45 a.m. Then, I was off. I must confess: I had no idea why I wanted to do this so desperately. I planned this trip in less than 12 hours, and it came to me as I was driving back from from the Dulles EMS store. The goal was to paddle the middle section of the Patuxent River that runs through Anne Arundel and Calvert Counties in Maryland, starting in the Jug Bay Wetlands Sanctuary and ending in King’s Landing Park. This stretch of river is 24 miles, although I use the term “river” loosely, as it’s a tidal portion of the Chesapeake Bay with little to no current. In fact, when the tide is coming in, it overwhelms and pushes against the current. For a state like Maryland, though, this area is surprisingly protected and one can see some vivid wildlife during the early morning hours. As I plowed along through the dark, I could hear various things scuttling through the marshes. I honestly had no idea what they were, other than the recognizable calls of ospreys and owls, until about 6:15 a.m., when I stopped for breakfast and saw a view that made it all worth it – or so I thought. 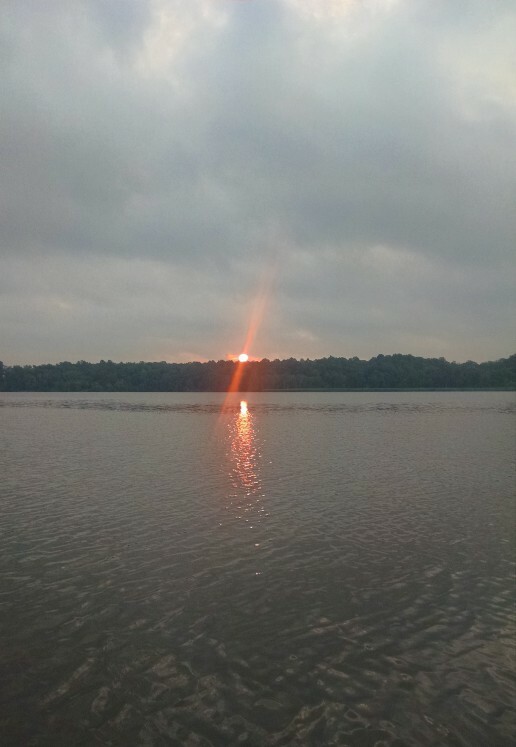 I was 12 miles in, having crossed through all of Jug Bay before the sun rose. I quickly ate a Cliff Bar, crushed about half a liter of water, and got back to paddling. After an hour or so, I suddenly noticed most of the ospreys had gone rather quiet, stopped harassing me when getting too close to their nests, and were circling rather high. Then, all of a sudden, a massive bald eagle came roaring out of sky and collided with one of the smaller, low-flying birds, crushing it right in front of me. Without losing a beat, the bald eagle broke from its dive, with the osprey limp in its talons, and landed back in the marsh. I wished I had a GoPro. The rest of the paddle was rather uneventful. I wrapped it up just after 9 a.m., having gone 24 miles in a little over five hours. I made a quick phone call to my ride, changed clothes, and went home. It was an amazing early morning adventure and one I’m glad to have made. There’s something quite wondrous about that pre-dawn stillness, especially when you’re gliding over the water on your paddleboard and to watch the bald eagle take down its prey. Being that close to the action made for an incredible paddle.